Niharika Konidela is an Indian actress and television host who primarily works in Telugu industry and starred in Tamil films as well. Niharika is the daughter of actor and producer Nagendra Babu and niece of Telugu actor Chiranjeevi. 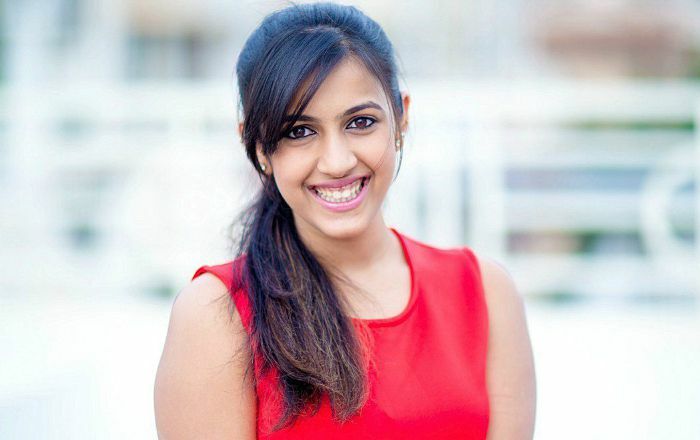 Niharika Konidela was born on 18 December 1993, in Hyderabad, Andhra Pradesh (now Telangana), India. She is of Telugu descent. She obtained her undergraduate degree from St. Mary’s College, Hyderabad. The budding actress has a very low profile and thus there is not much information available of any relationship she has had in the past or in the present. Niharika Konidela made her acting debut in the 2016 Telugu film Oka Manasu playing Sandhya opposite Naga Shourya. She debuted in Tamil industry with the film Oru Nalla Naal Paathu Solren alongside Vijay Sethupathi and Gautham Karthik. In 2013, Niharika ventured onto television scene hosting the Telugu dance reality show Dhee Juniors on ETV Telugu. She hosted the first two seasons of the show and went on to act in films. She aspired to become an actor since she was a child. After graduation, she launched her own production house Pink Elephant Pictures through which she produces web series and short films. She first starred in a web series titled Muddapappu Avakai before making her stint in films. The web series was bankrolled by her along with her web series Nanna Koochi. In addition to feature films, she has also starred in a short, ODYSSEY- When Cupid Misses, a film based on teens. Her 2018 release includes Happy Wedding.